When I’m watching Japanese TV, I try to make use of Japanese subtitles instead of English subtitles as much as possible. But until recently, I had never given much thought to whether native-language or target language subtitles are better for language learners. No matter what your level, foreign language content is accessible, which is great for listening practice. This is good for themes requiring specialist knowledge and/or vocabulary. You can begin to make associations between words in your target language and words in your native language. I find that this is most likely to happen with everyday vocabulary. 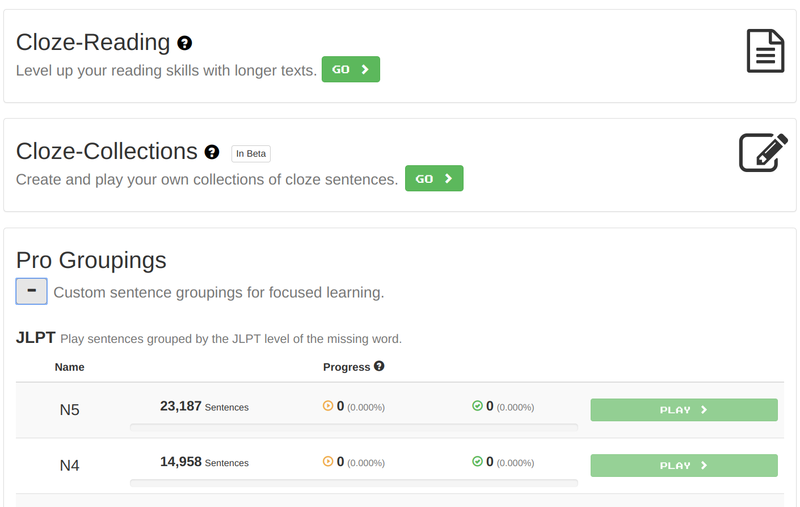 Helps you to recognise common sentence patterns and vocabulary. For example, with Japanese, I found watching TV really helped me to understand more casual types of speech. 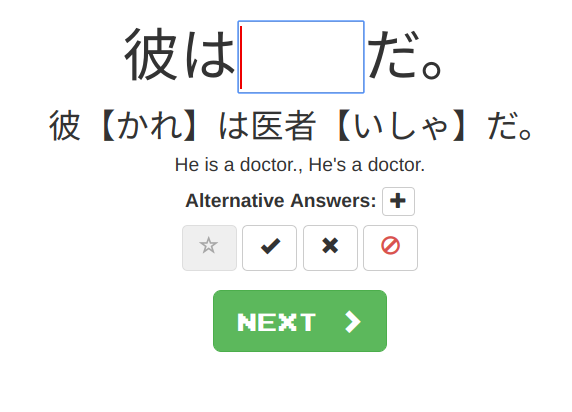 Since we only studied polite language (ます/です) in class for quite a while before learning the plain form, this made things much easier when it was introduced. You can focus on how certain situational phrases are used. This is especially good for phrases that don’t really translate to English, such as 失礼します (shitshurei shimasu) and お疲れ様でした (otsukaresama deshita) in Japanese. It is much easier to recognise the words that you do not understand (and then look them up in the dictionary). Even in our native language, we often mishear things, and when we use native language subtitles it is easy to overlook words that we don’t know the meaning of. As the above shows, both types of subtitles can have their own benefits. The choice between target and native language subtitles often depends on your language level and familiarity with the source material. One way to make have the best of both words is to watch something without any subtitles, then again with target language subtitles, and then with native language subtitles. Fortunately, YouTube, Netflix and Viki make switching subtitles pretty easy. Viki is especially good as dual language subtitles are available using the Learn Mode. This feature already exists for Korean and Chinese and is now in beta mode for Japanese. 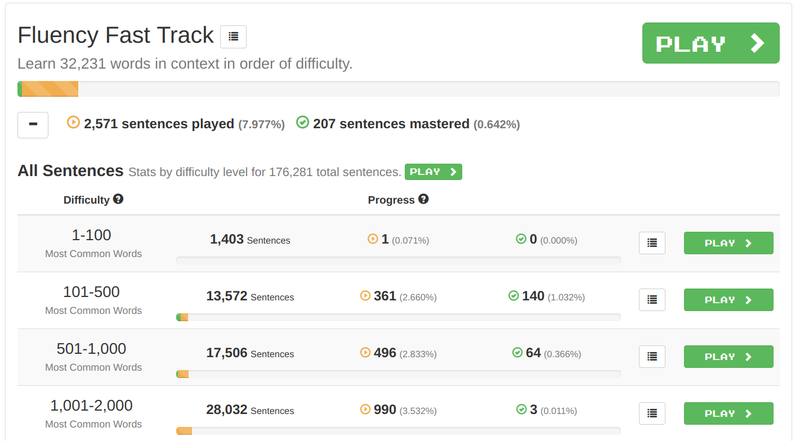 You can click on any word from the target language subs to get the English meaning – really useful! My experiences with Learn Mode so far have been very positive and you get both benefits of native and foreign language subtitles. Choose something that you are really interested in, especially if you plan on watching it multiple times. Try to choose something that is not too complicated. I recommend starting off with shows that closely relate to everyday life – because choosing something on a niche topic unrelated to something you already have knowledge of will only succeed in leaving you demotivated. Cultural differences can exacerbate this problem too. Reading the original book if you plan to watch a film adaptation (and vice versa). I might even write down names of key characters and locations. I find that doing this helps a great deal when you are actually watching a TV show. It means that you are not wasting precious time trying to remember the name of the main character’s sister! Break shows down into smaller chunks. It’s much easier to watch TV series rather than films because TV episodes are shorter. Watching without native language subtitles requires a high level of concentration which is hard to sustain for a 90+ minute film. TV shows also have the advantage of being much easier to follow as you get used to how characters speak. If you do choose a film, try watching it over a number of sessions to build your confidence. Have a notepad handy and make a note of words and phrases that you didn’t understand or find interesting. I then look these up at the end of my listening session and add to my vocabulary list to review later. …and if I get stuck? Keep calm and carry on, even if you are feeling like this! When you come across things like this, you could record a clip of what is being said and ask a friend or language partner to explain what is going on. In some cases, I find that continuing to watch the show can help – later developments in the story might fill in gaps from what you missed earlier. If you can turn on English subtitles, don’t be afraid to turn them on. Just because you do not understand something right now, doesn’t mean you will never understand it. Obviously, the ideal situation is not to have any subtitles at all. Becoming too reliant on subtitles is unlikely to improve your listening or reading skills in your target language. One thing I try to do is to read native language subtitles as quickly as I can so that I can focus on the spoken language. Sometimes you have to take the plunge and watch things without any subtitles – how much you do understand might just surprise you! What is your stance on this? Do you go for native language subtitles, target language subtitles or none at all? Let me know in the comments! Today’s podcast recommendation is the Manga Sensei podcast, a podcast that offers great Japanese lessons in just 5 minutes each episode! The podcast is hosted by John, the titular Manga Sensei. Most of the Manga Sensei episodes are language-focused. Each of these episodes are short and focus on a different grammar point. Language focused episodes will provide an explanation of the grammar point, how to conjugate it and when it used. There are plenty of example sentences too. In addition, the Manga Sensei podcast also has interviews with people who regularly use Japanese. Normally, the interviewees are people who live in Japan and/or write about Japan and the Japanese language. Previous guests include Youtuber Kemushichan and Tofugu. Every now and then, John hosts episodes that focus on helpful language learning tips for Japanese (or any language). One of the episodes I particularly enjoyed is “Bridging the Gap between Intermediate and Advanced” (an episode from May 14, 2018). One of the best things about the podcast is how much John sensei manages to cover in 5 minutes. I am impressed how each episode has detailed information on how grammar points are used, without it feeling too overwhelming. With over 250 episodes, there is plenty of content to listen to. New episodes are also uploaded on a near daily basis! The type of Japanese covered in the grammar episodes includes more informal speech. It is more natural than what you might get from a textbook. In every episode, John comes across as an enthusiastic teacher who really wants everyone to do the very best with Japanese study. The Manga Sensei ethos is all about knowing you’ll make mistakes and doing it anyway, which I think is the best way to approach languages. I find the interview episodes are really fun and perfect for when I need some study motivation! One thing to note: the episodes have not been produced in order of grammar difficulty. You may find yourself searching around for a little while if there is a particular grammar point you are stuck on. Fortunately, if you are a beginner to intermediate Japanese learner, he has most likely covered the grammar point in an episode already. I think that this podcast is good for anyone studying Japanese, as the grammar points covered range from the basics up to more sophisticated aspects of the language. It is a great resource to complement Japanese classes or self-study. Hearing about the same grammar points explained in different ways helps to really deepen your understanding. You can find the episodes on the Manga Sensei website, or via any podcasting app, Spotify, iTunes or Soundcloud (just search for “Manga Sensei”). I definitely suggest checking out The Manga Sensei site. Short manga in Japanese is posted on the website each week. I’d probably recommend these short manga to upper beginners (JLPT N4) as there is no furigana on the manga itself. However each panel comes with a vocabulary list and helpful notes on the Japanese used. If you are intending to read manga in Japanese at some point, these notes are pretty useful. 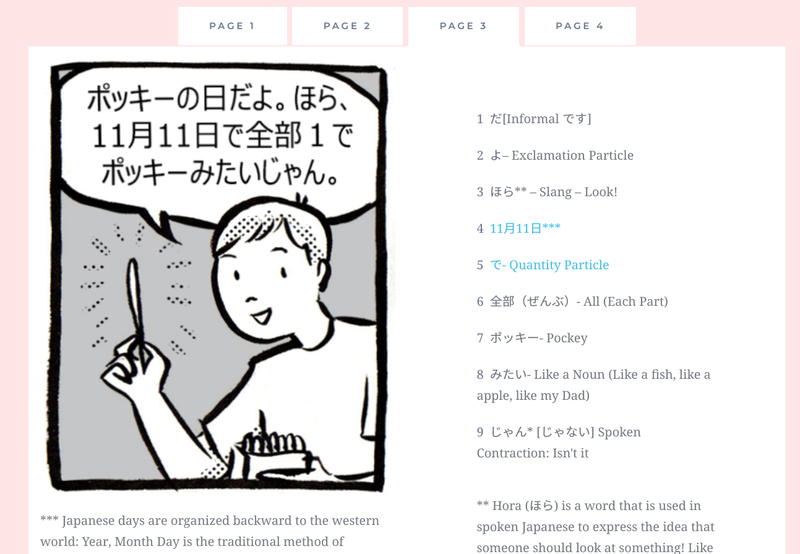 Aside from that, the website’s blog has a number of posts on the Japanese language and culture. These posts expand upon a lot of the topics covered in the grammar episodes. Have you tried this podcast? What did you think? Let me know in the comments! 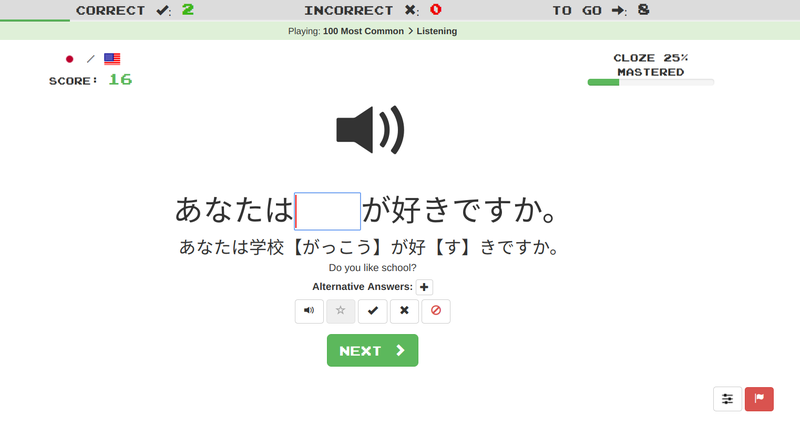 Today’s podcast recommendation is Learn Japanese Pod, not to be confused with JapanesePod101! The podcast was established by Alex, a Brit living in Japan who started the podcast as a way for himself to work on his Japanese skills. Fortunately for us, the podcast has turned out to be a useful resource for us Japanese learners too! In each podcast, Alex is joined by a native Japanese speaker – regulars include Asuka and Ami – to help explain key points and offer insights on each topic. Each episode is about 30-40 minutes and are usually based on a certain situation you might find yourself in living in Japan, such as losing your wallet or ordering food at a restaurant. Others focus on ways to express yourself in Japanese (topics have included how to talk about one’s personality and how to express your opinions). The episodes are usually structured around short dialogs, which are then broken down and explained in more detail. These explanations are really useful as they often include cultural information or show examples of how certain phrases are used. 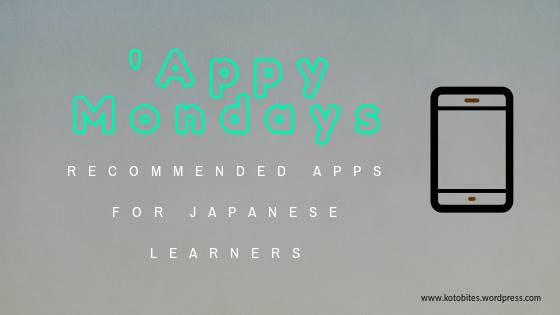 There also episodes called Fun Fridays, where the presenters discuss a topic in relation to Japan and Japanese culture, as well as interviews with those involved with the world of Japanese language learning. First and foremost, I recommend this podcast because it is enjoyable to listen to. Sometimes with language learning podcasts, the content can feel overly structured and therefore a little bit boring at times. Fortunately, this is not the case with Learn Japanese Pod, despite the length of the episodes. There’s a really good rapport between the presenters which I think really helps to keep each episode as engaging as it is informative. Another thing that I really like about the podcast is that they are full of useful expressions that reflect Japanese as it is actually spoken. For this reason, this is a great podcast for those who want to build their spoken fluency or focus on expressing themselves more naturally in Japanese. Similarly, as the podcast is dialogue focused, the episodes are great for shadowing. I also recommend taking a look at the Learn Japanese Pod website, which has downloadable show notes for each episode containing all of the dialogues. I think that this podcast is especially good for beginner to intermediate learners, who might be taking formal classes. As classes might not always cover ‘real’ Japanese, this is a great complement to the stuff that gets taught in a classroom setting. You can find the episodes on their website, via any podcasting app, and on the Learn Japanese Pod YouTube channel. If you are a fan of Japanese dramas, then you will know that finding places to watch them legally is much more difficult (compared to Korean or Chinese dramas anyway). Netflix is working on expanding its range of Japanese dramas, which is good news for international fans. However if your budget cannot stretch to a Netflix subscription, there are other options out there. I personally use the following two places to get my J-drama fix for free (or very cheap)! Crunchyroll has been established for some time as the go-to place to watch the latest anime, and to a lesser extent manga. Crunchyroll has evolved over the years to provide a wide range of Japanese shows in an on-demand format. This includes a pretty good range of Japanese dramas; whether you enjoy suspense dramas or romcoms, you will find something you enjoy here. Crunchyroll (like the others on this list) operates on a ‘freemium’ model, meaning you can watch most of the content in standard definition for free with adverts interspersed in each episode (usually at least 4 ad breaks in a 45-minute drama episode). To get rid of the ads and stream in HD, you need to pay a subscription cost of £4.99/$6.95 per month. Being mostly interested in Japanese dramas, I’ve listed the Jdramas you can watch for free (further content is available if you have a subscription). Viki is a website that is a subsidiary of Japanese online retail giant Rakuten. The website has a large collection of Korean, Mainland Chinese, and Taiwanese dramas in addition to Japanese dramas. The collection of Japanese dramas is relatively small but there is some variety in terms of genres. What I like about the website (and app) is that it is very easy to use. It is easy to filter by Japanese dramas and if you create an account, you can save a list of dramas you want to watch later. 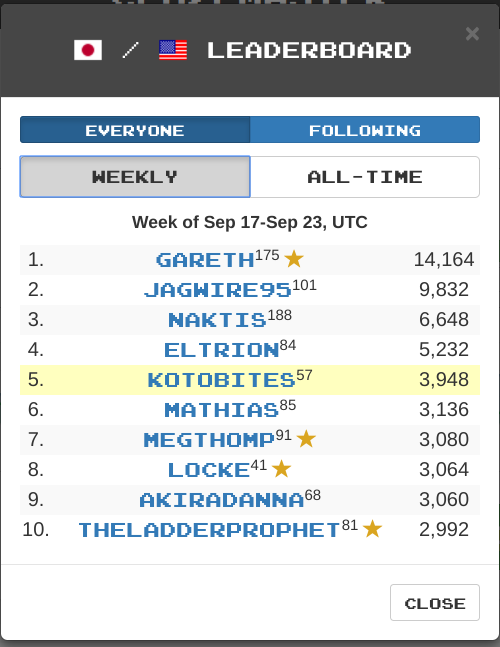 You can read drama reviews by other members, and it is possible to turn on live comments showing reactions from other users whilst you watch the drama too which helps foster a sense of community. For language learners, you usually have the option to switch subtitles in the options between English, Japanese, and many other languages. Viki members help with the translations, which helps make the dramas accessible to many people around the world. Viki is free to view, but ad-free and higher quality videos require a Viki pass, which has a subscription cost of $4.99 per month. *October 2018 update* Now that Dramafever has suddenly shut down, I have changed this post to include some other sites I believe stream Jdramas. However, as they are not available to me in the UK, I have not been able to try them myself. If any of these are incorrect, please let me know and I will update the blog post. Hulu (United States only). Japan does have its own version of Hulu called Hulu Japan, but this is only available in Japan and will only have Japanese subtitles. So that is my list of Netflix alternatives for Japanese dramas. I will keep updating this post as and when I find new sites! The post I wrote on Netflix has some tips on how you can use TV shows in general to study Japanese. Are you a Jdrama fan or not? What are your favourite dramas or TV shows to watch in Japanese? Let me know in the comments!